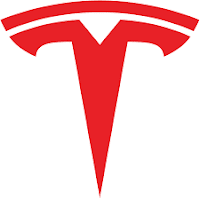 Tesla's (NASDAQ:TSLA) stock dropped from a recent high of $373 to a recent low of $296. After announcing Q2 unit production and delivery results early this week the stock first jumped about 5-6% then dropped like a rock. What caused it and what's next? Musk Hype Set Up "Sell The News"
On June 27th Tesla's CEO Elon Musk teased the shorts on Twitter by tweeting, "They have about three weeks before their short position explodes." Any time you hype up a datapoint you invite a ton of short term traders to play the event. Those short term traders are going to sell either way but if they see the stock go down on the news they're going to sell even faster. Then you have a pile-on, selling begets selling. Then when the stock started going down investors were looking for all types of negatives to pin to the weak stock action. Our Advice For CEOs With High Short Interest: Who Cares!? Who cares?! Really. If you have a lot of shorts on your stock, who cares!? If you do a good job with your business those shorts are going to be the best thing for the stock helping it jump to the stratosphere. If the company doesn't do as well all those shorts give buying pressure as they take profits which helps support the shares as other long-holders exit. Shorts are not a bad thing. They are a very good thing to support downward pressure. Really when we have stocks that we want to Buy we love seeing a big short interest. That just means if we're right, the stock is going to propel higher that much faster. We had a case recently where Trade Desk (NASDAQ:TTD) had a huge short interest but we loved the fundamentals. Thanks to the shorts that stock shot up 40%+ the day after earnings and it's still going. So Mr. Musk, we love you, but really, who cares about the shorts. Do a great job and the rest takes care of itself. Ignore the shorts. In this case, teasing the shorts ahead of a datapoint worked out against you. There's no need. Just deliver. Datapoints Are Nice But Earnings Are What Matters! We've been in this business a while. I'm not a big fan of trading datapoints. They are not nearly as important as earnings. Getting a datapoint of their Model 3 progress was good but their comments on earnings were so much more important. This was music to my ears. In their delivery and production release they said, "We also reaffirm our guidance for positive GAAP net income and cash flow in Q3 and Q4." Positive earnings? The Street's at a loss for the next few quarters. If Musk didn't hype his stock ahead of this datapoint this stock could have been much higher after its release. And did anybody do the math what a profit in the back half of this year would mean for EPS for 2019? We get $14 in EPS for 2019 in our model. The Street's expecting $2.71 for 2019. Hedge funds and large investors have to know that a profit in the back half should mean big things for this stock. There is absolutely no reason to tease the shorts and tell everybody what a datapoint is going to be before the print. It messes up how the reaction will be to good news. Musk and Tesla did a great job meeting their targets and we're bulls but he shot himself in the foot by hyping the stock ahead of a datapoint. Hopefully he and other CEOs learn from it. Just deliver. We spoke to the top 60-70 tech companies over the last few months to identify what tech stocks have home run earnings stories. Finding those few tech stocks that have realistic earnings trajectories way above the Street can give you conviction to see a stock through to big upside. Dip your toe in the water with a free trial. IF Tesla needs to raise capital for its giga2, semi, roaster, model y, truck, what can it do? Good question. If they go eps and cash profitable which is the plan in q3 and q4 they should have no problem raising capital.